With so many bubble tea chains in Singapore, it’s questionable whether we need any more newcomers. 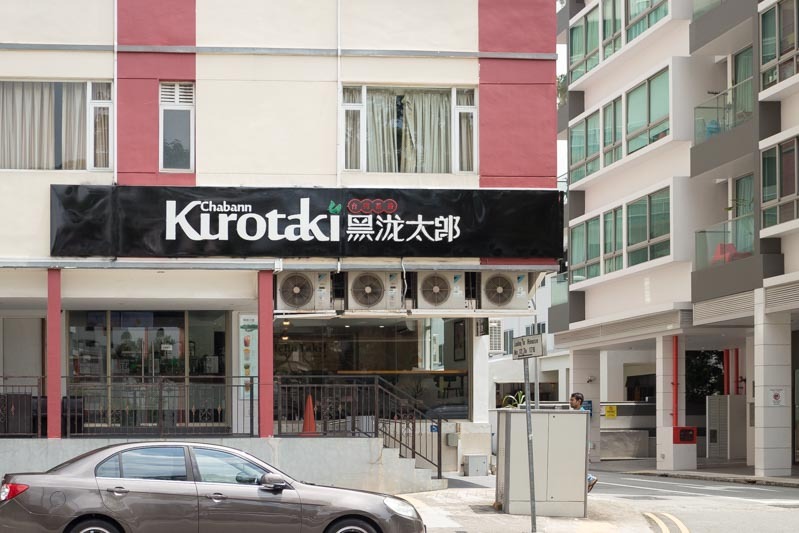 Regardless, Kurotaki Chabann has decided to bring its qualitea offerings to Singapore, and join the race. 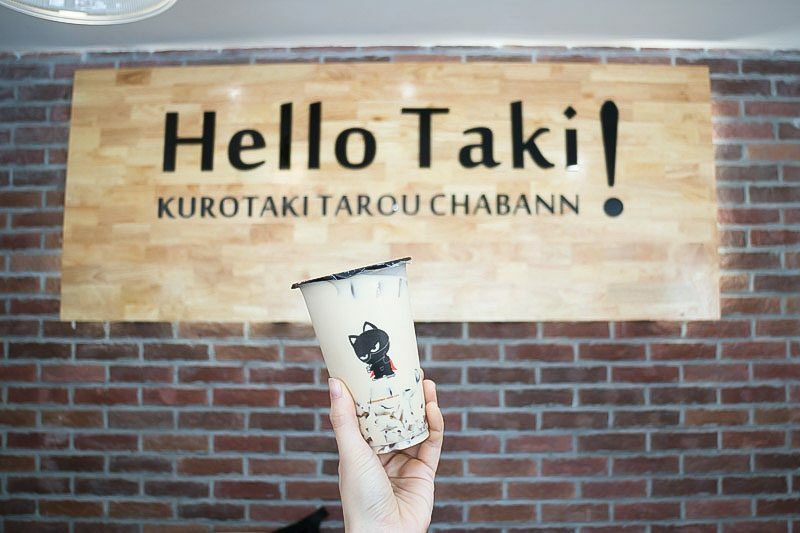 Kurotaki Chabann is a Chinese bubble tea brand which has made its name in mainland China, with over 1000 branches in operation. It serves up substantial portions with quality ingredients imported from various sources including Taiwan, China, and Malaysia. 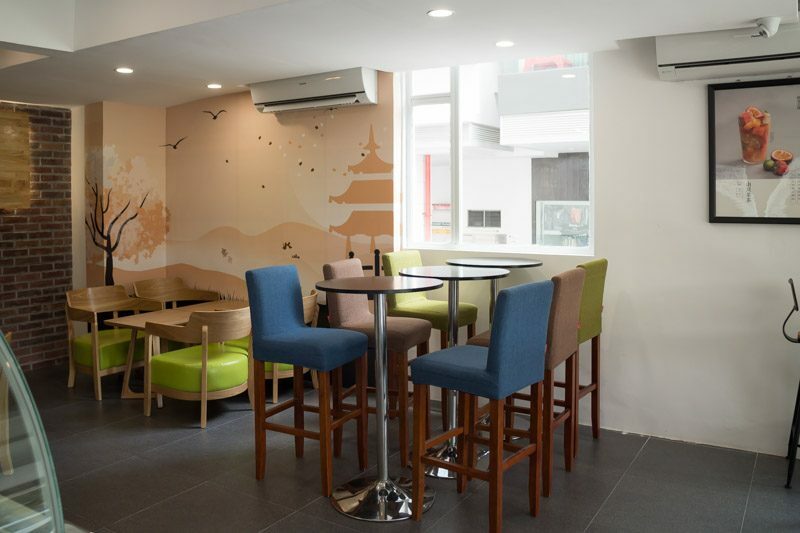 The new branch at Rangoon Road boasts a spacious interior which allows you to sit back and relax while you enjoy your beverage, and take shelter from the hot sun. Of course, we had to ask for recommendations when we visited. We were told that the Grapefruit Tea, Mango Coconut With Sago, and the Brown Sugar Jelly Milk Tea are their best sellers. So naturally, we got all three of them. 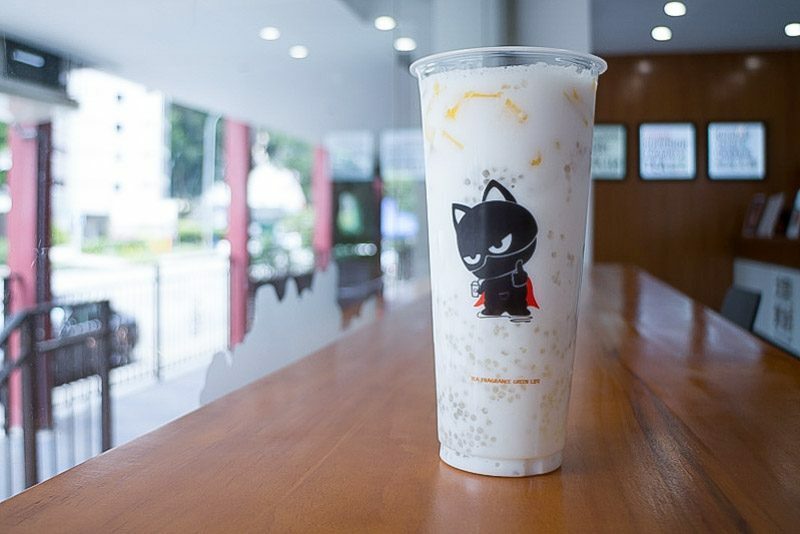 The Brown Sugar Jelly Milk Tea and Mango Coconut Sago comes in two sizes, medium and large, while the Grapefruit Tea only comes in the large size. The Mango Coconut With Sago (Medium: $4.20, Large: $5.20) came with an abundance of sago, and quite a fair bit of mango cubes. Initially, our Mango Coconut With Sago came with what tasted like pure coconut milk. Although we liked that it reminded us of a mango sticky rice dessert, we felt that it could have used a little more sugar. After requesting for sugar to be added to our drink, it was so much more enjoyable. So take it from us – 50% sugar is the way to go. The sago was relatively tasteless, while the mangoes were a little sour. This may just have been a one off, but we’re not sure. Despite that, we still enjoyed the beverage as a whole. 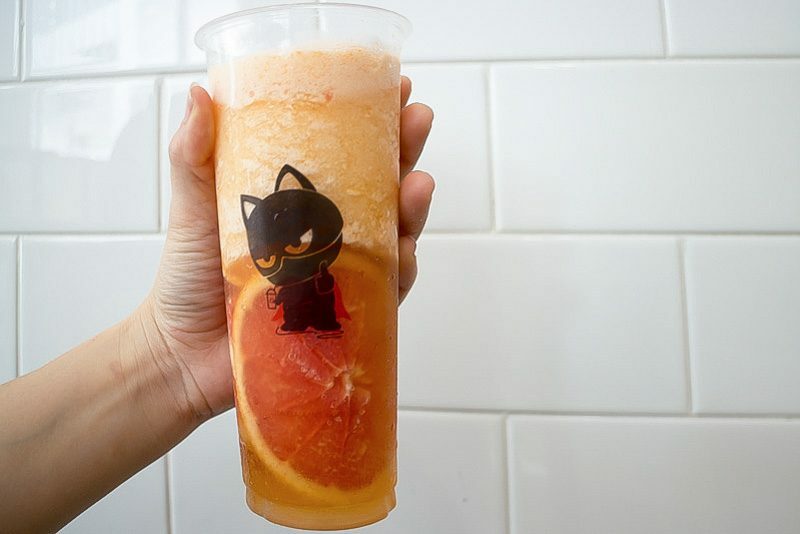 The Grapefruit Tea ($4.50) was a thick ice blended drink with three large pieces of grapefruit. The combination of the slightly bitter grapefruit and Japanese green tea made for a very refreshing drink on a hot day. We expected it to be too bitter, as grapefruit and green tea on their own are already bitter. However, the two components complemented each other very well to create a drink that was very pleasant. Don’t be afraid to get the full 100% sugar on this one, as it tasted like the 50% sugar offered at other bubble tea joints. The Brown Sugar Jelly Milk Tea (Medium: $3.50, Large: $4.50) is made with Japanese red tea and house made brown sugar syrup which was just right in terms of sweetness. Most brown sugar jellies tend to be on the firmer, chewier side, but the brown sugar jelly at Kurotaki Chabann was more like konjac, which took less effort to sip on and chew. The combination of the fragrant milk tea and the brown sugar jellies made for an extremely delicious and comforting beverage. 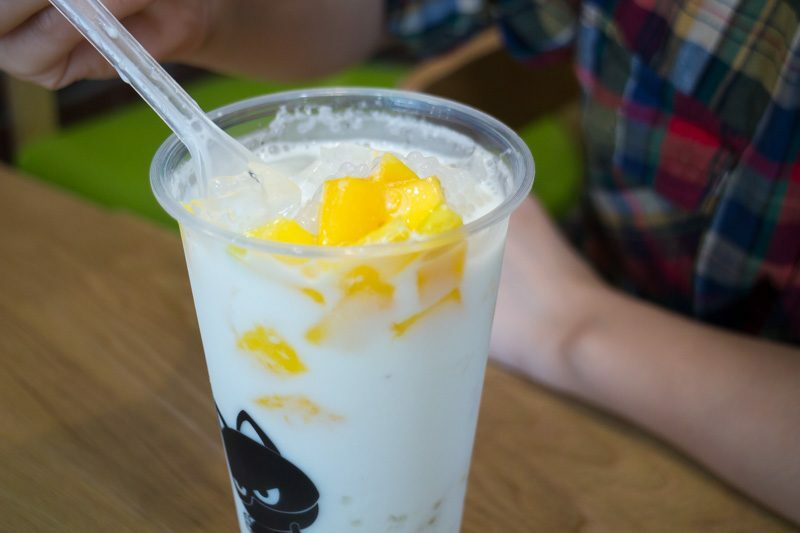 If you’re planning to make a trip down to Kurotaki Chabann, you should give the Mango Coconut With Sago a miss, but we strongly recommend the Brown Sugar Jelly Milk Tea and Grapefruit Tea. 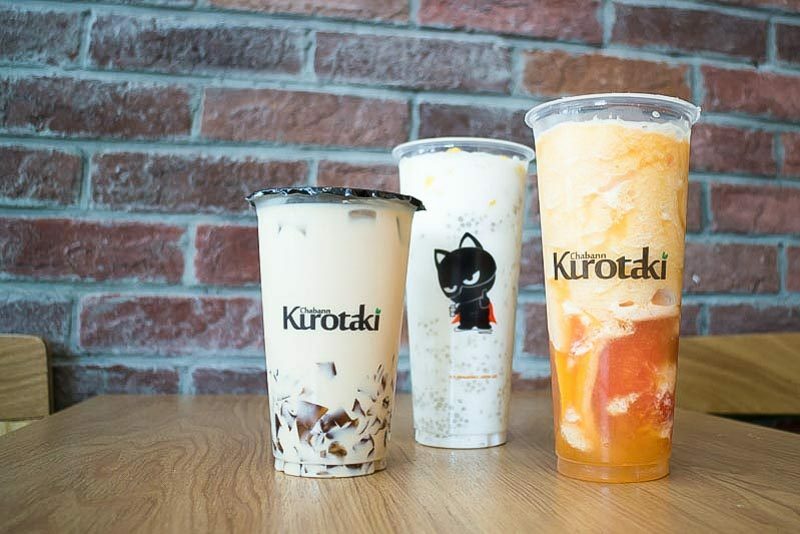 One thing’s for sure though – we don’t think Kurotaki Chabann will be left behind in the bubble tea race.